Another week in the Bundesliga, and another big game to add to the list of special clashes fans can feast their eyes upon and while we gear up for Borussia Mönchengladbach versus Bayern Munich, it's time to scan some key areas that could tilt the contest one way or another. Gladbach against Bayern: a game with big history has been given a modern-day twist with both teams tussling in the Bundesliga’s top four. In the 1970s – when facial hair was suspect and mullets all the rage – this fixture drew fans to televisions like Gerd Müller to an opponents’ goal. If one team wasn’t raising the Meisterschale in triumph in the decade of disco, the other was. And in 2017/18, the sides are finding form at the same time once again, Bayern winning their last five to top the Bundesliga with Gladbach unbeaten in three and winning two of those to settle nicely into fourth spot, eight points behind their rivals. The performances of Danish international Jannik Vestergaard this season make very much one of Dieter Hecking's most important players. The tallest player in the Bundesliga also has the most goals as a defender, and in terms of on-field duels won this season, the 25-year-old Vestergaard holds a higher success rate [67.1 per cent] to slick Bayern centre-back [64.3 per cent]. Sure, Hummels holds fort in terms of aerial battles, but Vestergaard holds the edge down at ground level. Both players have featured in all 12 top-flight games this season, with Vestergaard even playing every minute of Gladbach’s campaign to date. Hummels commands the passing stats, playing 868 to his counterpart’s 636 – yet both have a pass completion failure rate in the same ball park [10.5 per cent]. In terms of goals scored, it's three that Vestergaard has as the deadliest defender in the Bundesliga, compared to Hummels’ one so far and interestingly, both have managed 13 shots on target. James Rodroguez's numbers with Bayern Munich show his fantastic start to life in the Bundesliga. Thorgan Hazard is currently in the form of his life. The wide attacker has been involved in at least one goal in Gladbcah’s last nine games while he is his team’s top scorer, netting four times and providing two assists. Only Robert Lewandowski has managed more shots than Hazard’s 62 in the Bundesliga this season. You might think with James Rodriguez playing a total of 416 minutes compared to Hazard’s 1,070 would count against the Colombian in terms of the numbers game, but you’d be wrong to do so. James has been involved in a goal once every 83 minutes – scoring three times and managing two assists. The 2014 FIFA World Cup top scorer is also an underrated quantity when it comes to tackling; for an attack-minded player to win 51 per cent of his duels is quite a feat, Hazard hits just 42 per cent in that particular category. James can also boast that he is on the ball 93 times in 90 minutes, more than double Hazard’s average. Yet when it comes to distance covered, the pendulum swings back in Hazard’s favour. The 24-year-old puts in around 11.6 kilometres per game and outsprints James 29 times to 20 with the Belgian reaching a much higher top speed [33.7km] compared to the former Real Madrid man [31.6km]. 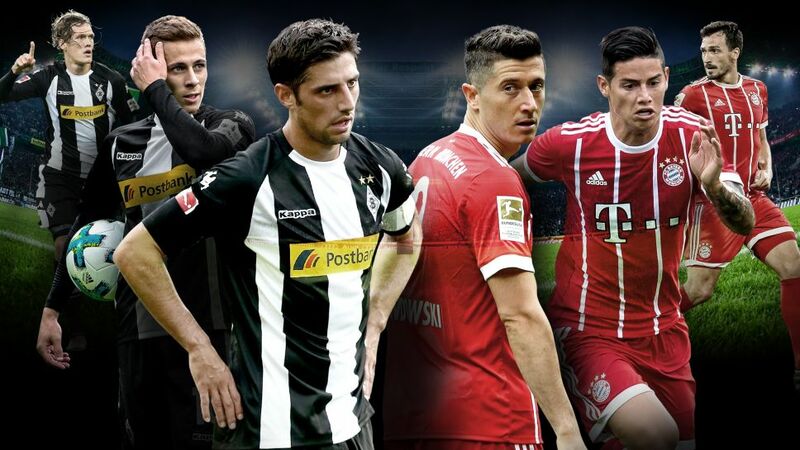 The player facing the most difficult battle in our selected head-to-head debate, is striker Lars Stindl, who we are putting in the ring with heavyweight Robert Lewandowski. They have chalked up a similar amount of minutes, Stindl playing 1,073 to Lewy’s 1,010. However, there the similarities end. The Pole’s 44 shots on goal dwarf his opponent’s 28. But our study merits a little more attention to detail as – on closer inspection – both players fill very different roles for their respective teams, with Lewandowski’s out-and-out forward style differing from Stindl’s facilitator. We see that the latter managed far more touches [729 to Lewandowski’s 399] and passes [564 to 249] while Stindl’s average in game distance covered [11.8km] is also higher than the division’s top scorer [9.9km]. Stindl has even won a significantly larger amount of in-game duels to his striking opposite, 275 to 44.7. They are numbers to make you think and they help to add even more intrigue to an already savoury fixture that is set to take us on a trip back to the future. Watch: Robert Lewandowski grabbed a brace against Augsburg on Matchday 12! Click here for the Gladbach vs. Bayern Match Centre!